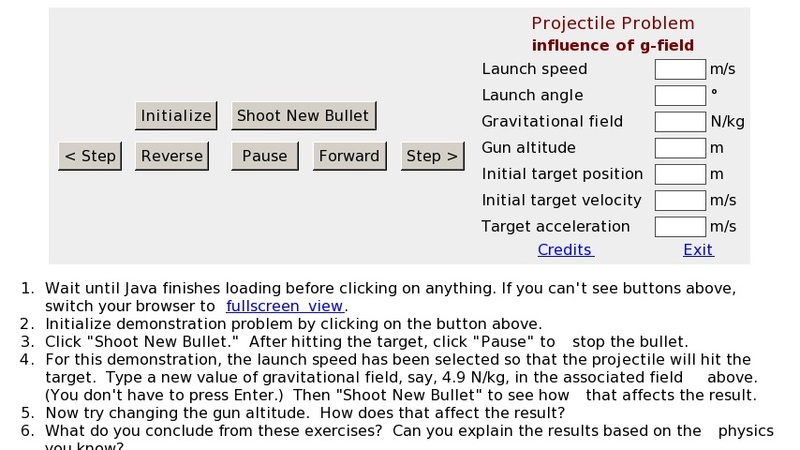 For this demonstration, the launch speed has been selected so that the projectile will hit the target. Type a new value of gravitational field in the associated field. Gun altitude may also be changed.